Mike Redmond was the perfect back-up and foil to Joe Mauer during the late 2000s. Undrafted out of Gonzaga University in 1992, Redmond grinded out an unlikely, 13-year major league career as a reserve catcher. A Twin from 2005-2009, “Red” hit .297, played with passion and fire, stirred up the clubhouse with constructive, yet sometimes pointed banter and never would have been considered for a Head & Shoulders commercial. While the reserved Mauer and Justin Morneau were the era’s “Faces of the Franchise,” it was Redmond who provided the vocal leadership and outlandish pranks that gave those Twins teams grit and personality. It was only fitting that he left the scene when the team moved from the cramped, homey Metrodome clubhouse in 2009. Redmond’s playing days ended in July 2010 when he was released by Cleveland. From there, he spent two years managing in the Toronto Blue Jays system before the Miami Marlins gave him a shot piloting their big league squad. After losing 100 games with a rebuilding team in 2013, Redmond led the 2014 Marlins back to respectability, but was fired in May 2015, sparking some controversy. The 46-year-old spent the past two seasons with his family in Spokane, WA before Colorado offered him their bench coach position last November. Redmond returned to Minneapolis this week with the Rockies and I was fortunate to catch up with the former cult hero prior to Wednesday’s rainout. DZ: You are back in the major leagues this year, coaching with the Rockies. Can you talk about how that all came about? REDMOND: I have been at home the past couple of years. Took a couple of years off. Spent some time at home with my family and my kids and be a dad. It was great. The timing was right and (Rockies manager) Buddy (Black) called and asked if I was interested in getting back in the game. I was. It’s worked out. It’s been a lot of fun. It’s a good, young team. I enjoy Denver and I enjoy the ball club. Buddy is easy to work for and we’re off to a good start. Things are good. DZ: You mentioned managing in Miami. What was that experience like? Being a big league manager? REDMOND: It was great. It’s obviously something that I wanted to do. Obviously, like any manager that gets fired, things don’t work out how you anticipate. You always think you are the guy who can go in there and fix something, but it just didn’t work out. It was a great experience. I learned a lot. Learned how to manage and run a ball club and what it all entails. I had a lot of great players. The players were awesome. It was a fun experience. Learned a lot. Good and bad. Like anything in life, you take the experiences you’ve had and try to better yourself. Especially in baseball, there is so much to learn. This is a great opportunity to get back into the game with a good ball club and I am enjoying it. DZ: Is your goal to manage a team again? REDMOND: We’ll see what happens down the road, but like I said, I am enjoying this experience and learning. Getting a chance to work with our young catching corps. Getting to do something different; things that I haven’t done in the big leagues. More teaching stuff, which actually has been refreshing and a lot of fun. DZ: It’s been about eight years since you played on the Twins already. When you think back to that whole era, what stands out to you? REDMOND: It was a lot of fun. Those years were fun. They were special. A special group of guys. A lot of wins, a lot of laughs. I am still really close with a lot of those guys. I don’t know that the Twins will ever have a group like that roll through Minnesota (again). We were fun to watch and it was a fun group to be a part of. A lot of characters on that team. As you’ve seen, a lot of those guys went on to different places to continue successful careers. Now some of the guys are coming back to coach which is a good thing as well. DZ: They still have Joe Mauer here. Did you have a chance to talk to him at all? REDMOND: Oh yeah. I saw Joe yesterday. We chatted for awhile. It’s good to see him still grinding it out. He has 13 years now or 14 years. It’s amazing. 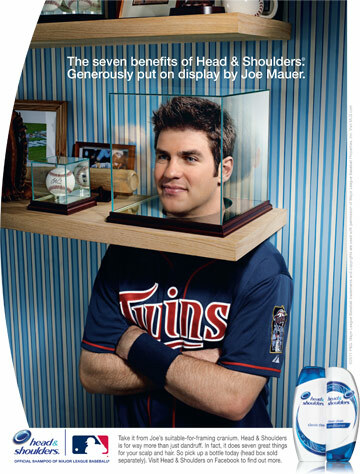 Perk (Glen Perkins) too. Being in one place for so long. Good to see those guys and I know they have done a ton of stuff in the community here which is not a surprise, but it’s a totally different group (now). I don’t know a lot of those guys other than those two. Good to see them. DZ: How about Nick Punto? Do you keep in touch with him? REDMOND: Yep. We went on vacation this last year to Mexico with a few former Twins. It was their (the Puntos) 10-year wedding anniversary. We all hooked up and had a good time. We talk. We are still friends. And Michael Cuddyer too. And Morneau. We still talk a lot. And have good laughs. DZ: When your career did wind down, you were released by Cleveland. What was that whole process like? REDMOND: Honestly, it was good. I was done. I would have liked to have stayed and finished my career in Minnesota, but that wasn’t an option. I tried to hang on one more year and Cleveland was really my best opportunity. That only lasted until July, but I was ready to be done. I was beat-up. And I think once I left here, it kind of took the fun out of (it) – going to a new team and a lot of losses kind of took the fun out of it for me. It was time to hang ‘em up. Like I said, I was good with that and was anticipating taking a little more time off than I did and spending time with my family, but the opportunity to manage in the minor leagues came up and I took it and ended up, two years later, getting the Marlins job. I can’t complain, things have been great. My family’s good, my kids. I’ve got a son who is 16 now and (a) 14 (year-old). They grew up here in the clubhouse, so they are playing baseball and doing well. And I am closer to home now, being in Denver. Things are good.